If you follow me long enough, you’ll see a trend in my desserts—they’re all super easy and classic in a way that makes you feel like a kid again. When I was thinking about this challenge, the first truffle that popped into my mind was an old school Oreo truffle I made in my early twenties to impress all my friends. This was just at the point when I was starting to take cooking seriously and was beginning to photograph my stuff. Nothing is in focus, and it’s all cast with a sickly yellow light. Yes, somehow I’ve made Oreo truffles look unappetizing. Not my best photography work, but maybe they still taste as good as I remember? The recipe is just two ingredients! Can the simple combo of Oreos and cream cheese really be that good? I decided it was time to find out. I got the knock-off Oreos from Whole Foods because ordering from there means I can shop in bed on my phone and wake up to groceries at my door. What an age to be living in! I was pleasantly surprised that this brand really did taste as good as classic Oreos! So I threw them into the food processor with some cream cheese and let it rip! My newest little Valentine, Owen, was not into tummy time on the kitchen floor so he decided to check on my work. As you watch everything whirling around, at first you might not be sure how this is going to come together. And then suddenly, a ball of “dough” forms and Voila! At this point, if the “dough” is feeling too soft to roll you can stick it into the freezer for 10 minutes until it firms up. Then you can carry on, rolling out ¾- to 1-inch balls. In my old recipe I dipped these in chocolate, but that’s kind of a hassle, and I never have the right chocolate on hand. So I decided to see if these guys would work just rolled around in some sprinkles. How easy would that be?! I still had some sprinkles from our Ten-Ingredient Party Favors Challenge when I made chocolate-dipped pretzel sticks. And luckily the colors I bought to fit my Minnie Mouse-themed party are also totally appropriate for Valentine’s Day! So I started to roll, doing some truffles in pink, some in white, and some in a mixture of both colors. I was talking to my sister on the phone as I rolled and suddenly felt like it was taking forever! So I moved my sprinkles to a cup and found it much easier than the plate. And for the most part I could just shake it up to get the balls covered in sprinkles. The end result was SO pretty and the whole recipe could not have been any easier! These are definitely what I want to be eating curled up by the fire with my love. Or, if we’re being honest, my husband and I will likely be eating these standing up in the kitchen, each of us holding a baby, watching the monitor and hoping my older daughter is finally asleep. But the moment will be no less sweet. Add the Oreos to the bowl of a food processor and process until they are finely chopped. 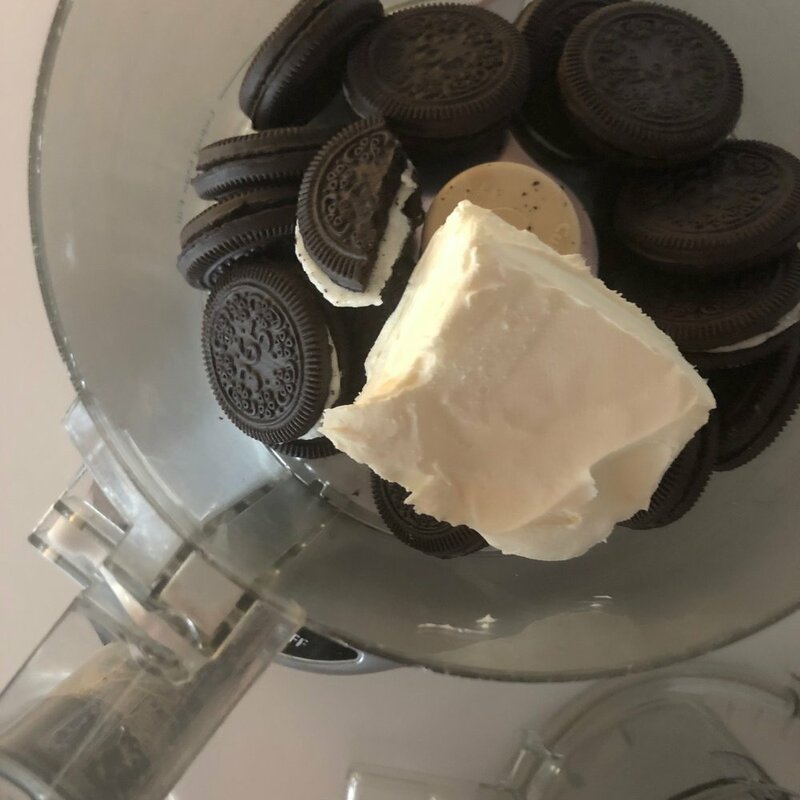 Add the cream cheese to the Oreo mixture and continue mixing until a dough-like ball forms. If the “dough” feels too soft to roll into balls, place it in the freezer for 10 to 20 minutes (optional). 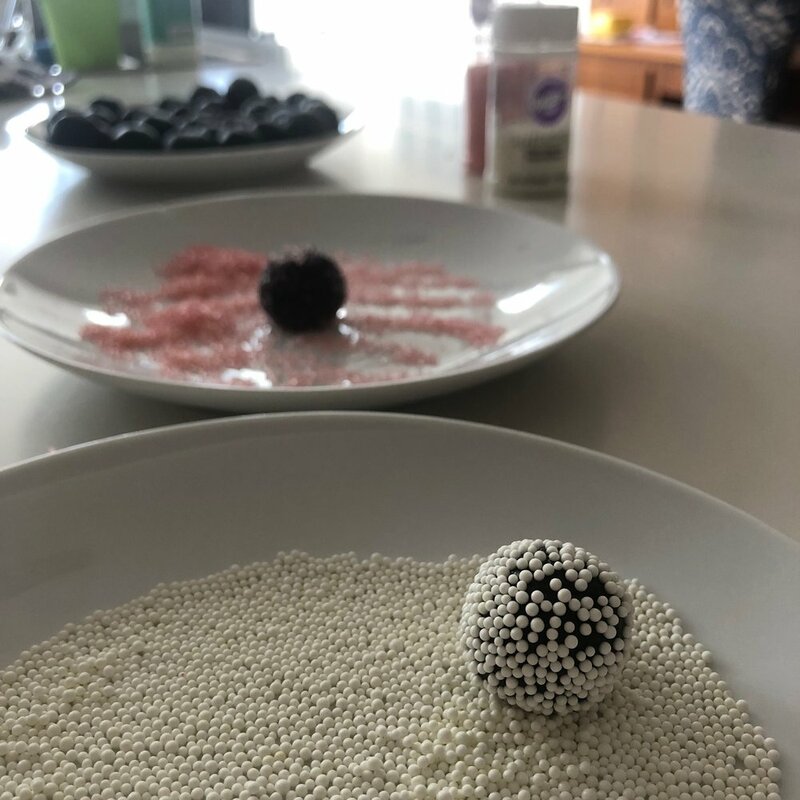 Roll the dough into ¾- to 1-inch balls, then roll them in the sprinkles. Store in the fridge and serve cold. 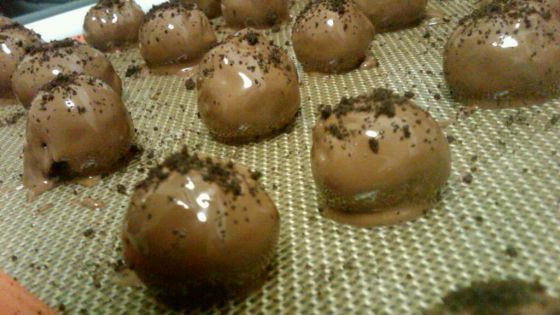 If you do decide to dip the Oreo Truffles in chocolate, freeze them prior to dipping so they are nice and firm.